People new to managing their careers may need help. Don't be afraid to ask for it. Your community may have programs to help. You can ask about health care, day care, or housing programs . Ask at your public library. If you need help finding a local library, look at ServiceLocator.org/Libraries.asp. Sometimes you have many options. What kind of job is best for you? Should you go to school? If so, what kind of school? Should you move to find a better job? It is easy to feel overwhelmed. It may be helpful to write down all of your options. Make a list. Then weigh the pros and cons of each choice. If you have too many good options, you can rank them in order. Someone close to you can help you with this list. Find help with food, housing, employment, health care, counseling and more.T here are community programs to help you in southwestern and central Illinois; another for central Illinois, as well as Will County and metro Chicago. Medicare, Medicaid and CHIP (for children) forms are at this site. Get help with child care. 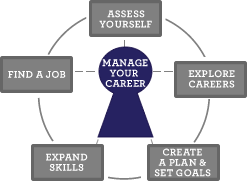 Go to a One-Stop Career Center for assistance with your job search.